The Bridge Room's John Saxby dishes up Italian food that's not like your mama used to make. 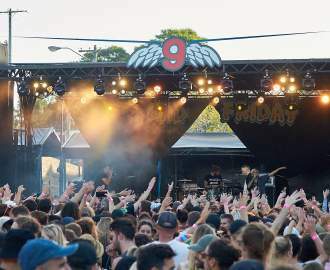 For all the talk of the inner west becoming a culinary Brooklyn to Sydney's Manhattan — a stretch given the much smaller person-to-band ratio and number of restaurants — there's been little movement in the finer dining scene in the past year. There was Hartsyard, Spencer Gutherie and Sixpenny, and then it went quiet. Congrats to former The Bridge Room and Quay chef Jason Saxby and front-of-house man Mark Russo for opening this new Italian joint bang in the middle of Enmore Road, which has been revitalised with the aforementioned Hartsyard. Yes, it looks like a set from The Godfather and, yes, there's 'old world charm' mixed with nouveau Mediterranean cooking, and not like your mama used to make. Much has already been made of the quaint curtains on the front windows, the faintly tacky paintings on the walls and the menus stuck in vintage hardback books. It's not exactly gloss rather a dusty cover to the meals. Saxby bent the norm at The Bridge Room with nice, quirky takes on traditional dishes, but he's free from the semi-corporate environment there. It's almost a surprise to have a chef of such standing in humble Enmore Road, amid the takeaway chippers and bottle shops. Saxby is still finding his feet and so the menu and specials are in flux at the moment, or at least the basic ingredients. What will be present among the pages of whatever novella you find at your table is a neat little bowl of fried school prawns with deep-fried broccoli and almonds, and a side plate of tomato and capsicum salsa rossa. There are no Italian standards on the menu, but rather busy, fussy dishes such as the wild hare ragu intertwined with scarlet red, hand-rolled beetroot pasta ($24). The glazed beef cheeks with semolina gnocchi, broad beans and radicchio ($28) is a hit, too, but the desserts oddly fall flat after the previous dishes. The semifreddo ($16) is an odd mix of thyme, strawberry and balsamic vinegar, while the chocolate, hazelnut deconstructed 'rocher' ($16) is overly familiar in one form or another in restaurants these days, and is the only non-surprise on the menu. 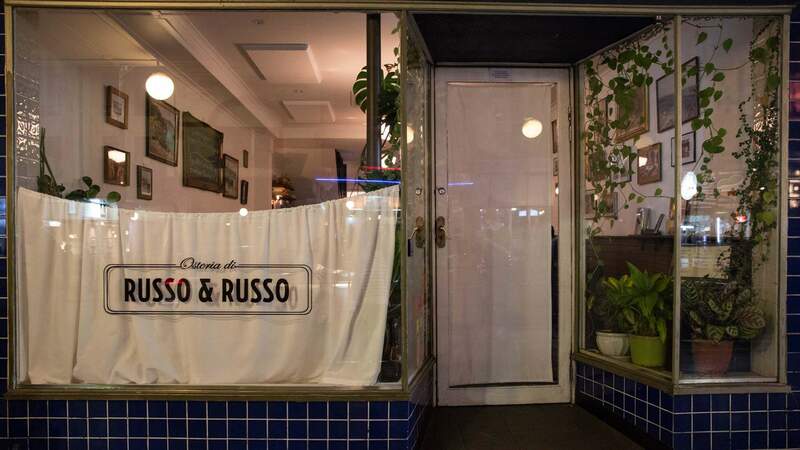 Russo and Russo have opened at the right time — the food is wintery, warm and welcoming, much like the restaurant itself.